Caring about trees, is the first step in tree care. Here at Abormax Tree service, Tree Care is rooted deep within us. We honestly care about trees and it shows. Trees have continually evolved since the first one set its roots billions of years ago. They have evolved to grow in forested environments, where nutrients are abundant, and stress is limited. Trees are their happiest in the forest. There, trees have all the things they need from A to Z. So it is no surprise that trees experience conditions in the urban environment, like here in Charlotte that are not as ideal as the forest. The significant amount of stresses we create for trees only adds to the adverse conditions that already exist. 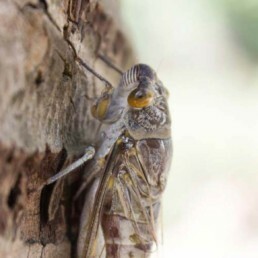 In the forest, there is an abundance of organic material and a complex network of biological life that create the perfect environment for trees. Not to mention mother nature does a good job of pruning un-needed branches. But that is not the case with trees on our property. The complex relationship of all aspects of the forest is greatly diminished. Their roots are often damaged during construction. The roots of lawns and shrubs compete with trees for nutrients, and water. Roots are often times poisoned by the chemicals used in turf management as well. Tree branches grow at lengths that would not be possible in the forest as a result of their shared relationship to adjacent trees. As well branches grow in directions that aren’t desired. When mother nature strikes, branches fall on cars and homes, instead of the forest floor. The skilled and educated staff at Arbormax fully understand the primary needs of trees to help them thrive and succeed outside of the forest. Deep within us is rooted the understanding you have to actually care about the tree, in order to provide tree care, As with anything worth caring for, first you must understand the needs. The Arbormax mission is simple. Do what is best for the tree. To leave the tree better than we found it, is our goal. 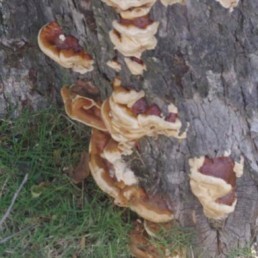 To take every step possible to improve the tree’s structural integrity, health, and prolong the trees life is our tree care specialists focus. We always treat the tree with respect, and keep the trees needs in mind and , and by doing this we achieve the exact same for our clients. 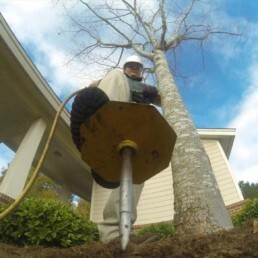 Our knowledge, in combination with our experience, makes us the clear choice for your tree care needs in Charlotte. All of our tree care professionals, and ISA certified arborists are educated and trained in the trees anatomy, biology, and physiology. 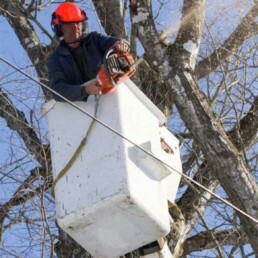 Selecting the right tree care company is the most important and sometimes the most difficult step in the tree care process for homeowners. There are so many companies around Charlotte that claim to be tree care companies. Arbormax tree service is a company that has built a reputation over the years of being the caretakers of Charlottes’s magnificent trees. You can always count on us to properly care for you and your trees. We do not use sales tactics. Our consulting arborists are salary based. With almost 2 decades of experience to help you understand the trees on your property. As a result you are empowered to make the best choices for you, and your trees. We never recommend unnecessary services, such as removing trees that are not hazardous. We are honest and great with trees what else could you want. We would love the opportunity to meet with you and your trees. We service Charlotte and all of the surrounding areas year round. So if you are in need of tree pruning, tree trimming, tree fertilization or if you have a sick tree and need it diagnosed or have any other tree care need please give us a call or shoot us an email and we would be happy to come out. Here are some of the tree care service that we provide. Areas served: Charlotte and all major surrounding areas. © 2016 Arbormax Tree Service Charlotte All rights reserved.